After another tough round of tipping to close 2018 and open the New Year, Perth Glory maintained their position at the top of the ladder and Evan Morgan Grahame maintained his tipping lead. At this stage it is daylight second and if a certain goose hadn’t taken the Mariners at home against the table toppers, he may have pulled a game back on the runaway leader. Round 11 action sees both the Mariners and the Wanderers with the chance to win back the faith of their fans, up against Sydney FC and Melbourne Victory respectably, and an intriguing clash in Adelaide as the Reds face Wellington. Good luck with your tips this week, Round 12 comes around mighty quickly, with the four remaining matches played mid-week after the Jets and the Roar squared the opening encounter last night. Be sure to insert your tips into the sheet below to have your say as the voice of the crowd. Here are the panel’s predictions for the weekend. They may not be in the best of form, but the Sky Blues will have too much firepower for the hapless Mariners at home, particularly with Milos Ninkovic and Adam Le Fondre in form. It’s hard to see how Central Coast could possibly break their long winless streak in Kogarah. Adelaide are yet to live up to their potential under Marco Kurz, while Wellington have arguably exceeded theirs under Mark Rudan. The visitors look primed to claim another big-name scalp, but they may find the Reds a tough nut to crack at Coopers Stadium. Keisuke Honda is out for Melbourne Victory and they take on a Western Sydney Wanderers side that needs a response following their abysmal showing against Melbourne City midweek. Wanderers’ fans might have to suffer through another defeat here, because Victory should have too much class. 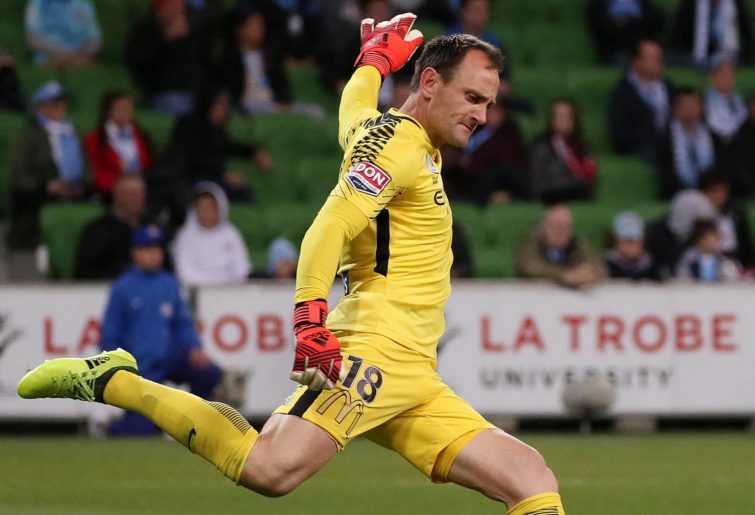 Melbourne City are on a bit of a roll, and they boast the most in-form goalkeeper in the league in Eugene Galekovic. They should extend their winning streak at home to the Newcastle Jets, even if the Novocastrians remain a dangerous-looking visitor. Brisbane Roar have looked much-improved under interim coach Darren Davies, and they’ll take all three points off Perth Glory at Suncorp Stadium, on what will be an emotional afternoon for the Queensland club and its fans. Steve Corica has survived the first third of the season and has his team rolling along well. 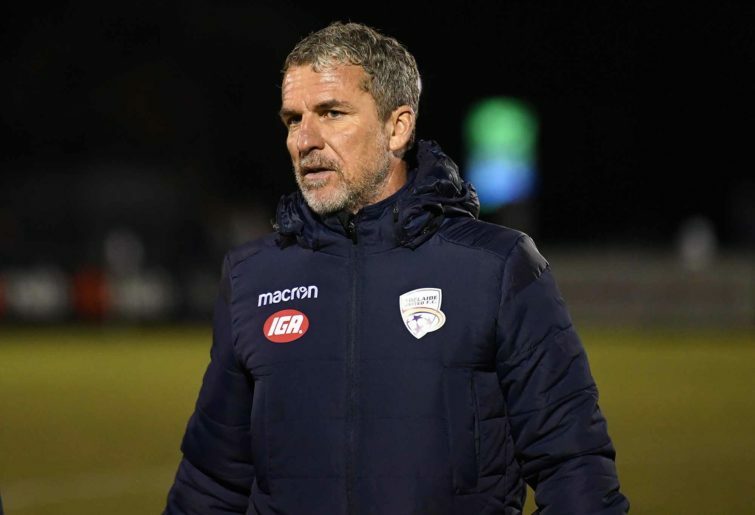 Jubilee Stadium is proving something of an adequate and comfortable home away from home and with a run of matches in New South Wales on their doorstep, the Sky Blues could make a mid-season move. They will be far too good for the Mariners on Friday night. I cannot split Adelaide and Wellington in the city of churches. The Reds should be able to nullify the attacking prowess of Sarpreet Singh and Roy Krishna enough to earn a valuable point in front of their home fans. After fans spat the dummy at ANZ Stadium in Round 11, it will be interesting to see how many Wanderers supporters do make the trip this week, as Western Sydney face a Victory side that grabbed a late point against the Phoenix last Friday. Victory could put four past the Wanderers, as the red and black reach a tipping point in their short existence. Perhaps the most interesting clash of the weekend sees Melbourne City host the Jets at AAMI Park. Newcastle threw one away against the Roar on Wednesday and City were strong against the Wanderers a day earlier. City are starting to find some consistency and should win with the home seagulls behind them. After an improved performance against Newcastle, the Roar host Perth with a chance to get their season rolling. However, after thumping the Mariners and reclaiming top spot, the Glory will be too high a mountain to climb and will win in a canter. Sydney FC have really got their mojo back. Steve Corica must be delighted with how new import Adam le Fondre has slotted in – you can’t do much better than lead the goal scoring. A 2-1 come from behind victory over Brisbane Roar last outing showed that the team has great character. It’s hard to see Central Coast troubling the Sky Blues at all. With their early fireworks, goal-post shenanigans and being likened to dog droppings, the Mariners are at a low ebb. Things won’t get any better on Friday. In the battle of the two teams equal fifth on the ladder I can see Wellington Phoenix continuing their good form and getting all three points against Adelaide. Is Mark Rudan coach of the season? It’s still early days but the 1-1 away draw against Melbourne Victory is proof that his team is on the way up. Western Sydney Wanderers lost at ANZ Stadium to Melbourne City, and I expect them to lose to the second-placed Melbourne Victory at the same venue. Wanderers’ coach Markus Babbel will be worried by one stat more than any other – they have scored just 11 goals in 10 games compared to Victory’s 22. Will anything change on Saturday night? I doubt it. I expect Melbourne City to make it back to back wins when they take on Newcastle Jets on Sunday. City will have great confidence in their keeper, Eugene Galekovic, who is in top form. Up front, Riley McGree will give the Jets headaches and with the fresher legs, City should get the three points. In the Sunday night game, Brisbane Roar might pull out a surprise and draw with Perth Glory. Sydney will beat Central Coast, with the Mariners now mired in a campaign so astonishingly bad, so reeking with the stench of defeat, small, fearful peeks through knitted fingers seem the only way of consuming it without retching. The Mariners are a championship-winning franchise, more than can be boasted by Perth – A-League only, of course – or Wellington. That Ross McCormack considers the situation too unprofessional and incompetent to return, says more than enough. Sydney are equal on points with both the Victory and Glory, and will hope to keep the pressure on their rivals with a win to open the weekend. Wellington have just signed Ireland international Cillian Sheriden, who will no doubt replace the goal-allergic Nathan Burns in the starting XI. As if the Nix needed something to give them even more of a pep in their step, this new signing will do just that, and it’s against slightly lethargic, slightly vague teams that they’re upturn this season has really shone through. Adelaide, still struggling with fluency and the logic of Marco Kurz’s system, are such a team; they needed a stoppage time penalty to beat Newcastle last week, breaking what would otherwise have been a four-game winless run. Wellington to win. Melbourne Victory will have to recover from today’s news that Keisuke Honda will miss a month of football, having injured a hamstring in training. As big a blow as that is, if Raul Baena can return, and Terry Antonis keeps up his form, they should be able to do well enough to be within striking distance of the top by the time the Japanese star returns. Western Sydney, who might have perhaps seen this game as an opportunity to take down a wounded beast, are likely to be more preoccupied with their own problems; incendiary outrage from the fans, and having not won for nearly a month, Markus Babbel will do well simply to extract a blooded performance from his team here. Melbourne to win. Will this week mark the first time City manage a back-to-back result – of any kind – this season? Well, the manner in which Newcastle threw away two points last time out against the Roar – perhaps the least in-form team not named the Mariners – indicates that, yes, perhaps Warren Joyce’s team will muster up some week-to-week continuity. The Jets are really struggling, and are making last season look unfairly like a fluke. They barely got around Central Coast, lost to the Reds, and are only three points ahead of the revolting Wanderers, who have also played one less game. New Year, New Me for the Citizens, who will break their consistent inconsistency with a win. Perth have everyone except Chris Ikonomidis available for the game away to the Roar, and ought really to add another three points to their tally. 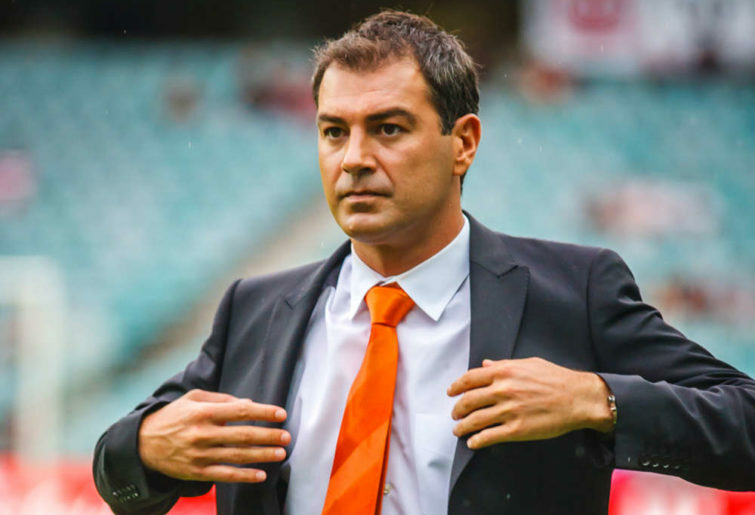 Ross Aloisi is, for some reason, still on the sidelines for the Roar, and although their draw against Newcastle might, on paper, look like a ship-steadying effort, they really should have lost that game. Perth to win.